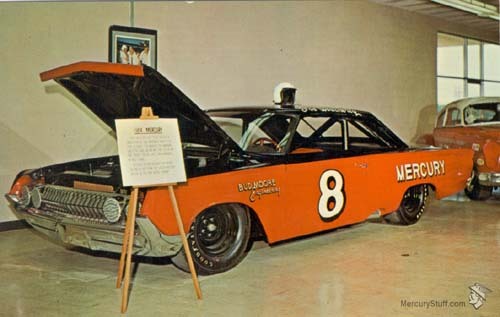 1964 Mercury owned by Bill Strope that Parnelli Jones drove to the United States Auto Club Championship during the 1964 Late Model stock car season. Parnelli won no less than seven races during the season to cinch the points race and the Championship. 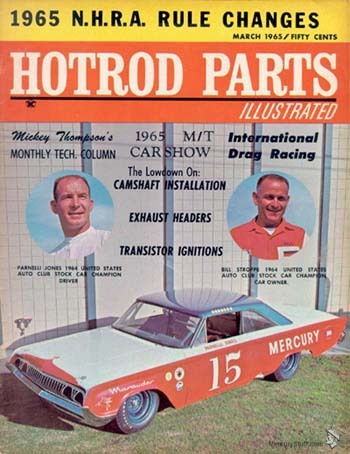 Parnelli Jones and Bill Strope are pictured in the inserts. 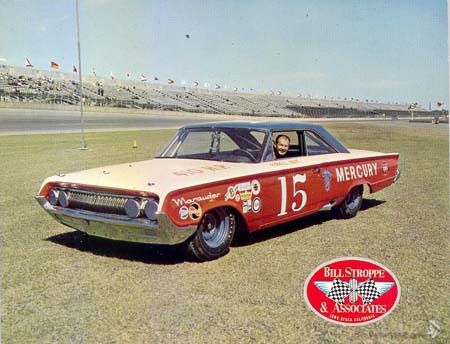 Parnelli Jones in his Mercury Marauder in which he won the Pikes Peak Hill Climb for the Mercury team of Bill Stroppe and Associates. 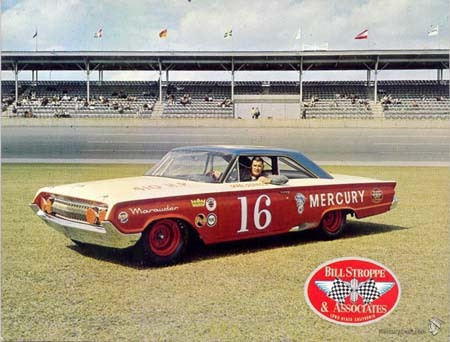 Darel Dieringer in his Mercury Marauder in which he won the 63 Riverside 400 for the Mercury team of Bill Stroppe and Associates. Got this image off of ebay, don't remember where it's actually located. 1. 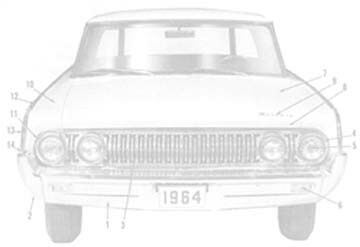 Show an 1963 marauder number 26, no mention of driver and it is doing 150 so somewhat blurry. 3. Wins in the USAC racing at Wisconsin state fair "150" "200" and "250". 4. Have Darel Dieringer winning the Golden state 400 at Riverside (a NASCAR event) on November 3.